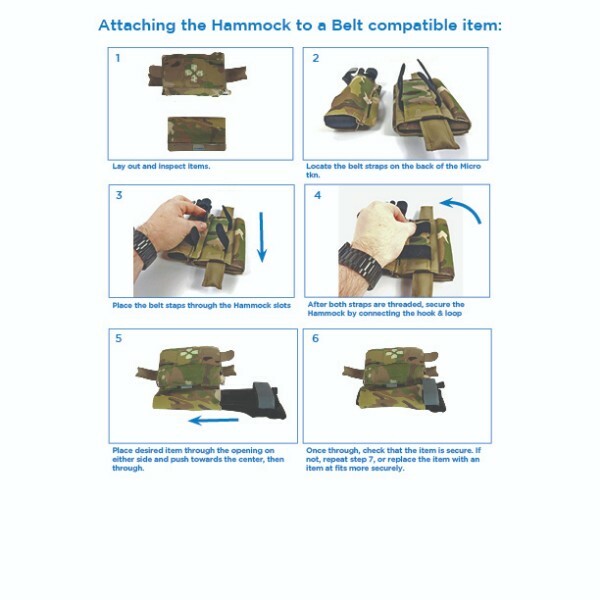 The Tourniquet Hammock is the quick and easy way to carry a CAT or SOF-T or RATS Tourniquet off of an existing belt or MOLLE mounted pouch that takes up no more additional mounting space and protects the tourniquet from the environment. Following the huge success of the Micro Trauma Kit NOW!® the biggest question we got was “Where do I keep my tourniquet?” We always recommended keeping a tourniquet readily available and NOT inside a pouch for immediate access. With the Tourniquet Hammock, you can keep your tourniquet readily accessible right below your Micro Trauma Kit with no extra mounting space needed. As an added benefit, the Tourniquet Hammock keeps the tourniquet better protected against damaging UV rays, weather, and dirt and debris than having a TQ simply rubber banded to your gear. 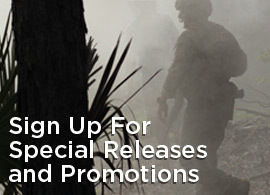 The Tourniquet Hammock can be mounted to either the MOLLE or belt mounted Micro TKN, or any other MOLLE pouch with a 3 column MOLLE foot print such as the Trauma Kit NOW!®, Vertical Utility Pouch, and many others. 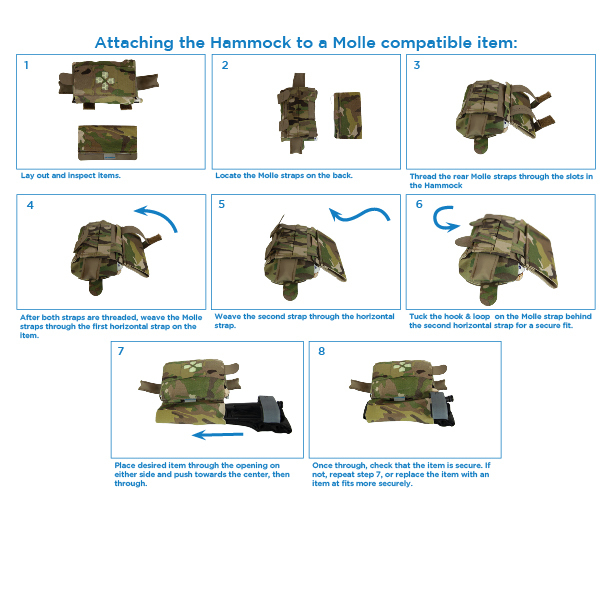 Simply slide MOLLE straps through the slots on the Hammock towards the final installation point so that it hangs down or put the Hammock on first for it to ‘hang’ at the top. As with all Blue Force Gear products, the Tourniquet Hammock is made in the USA with excellence and carries a limited lifetime warranty.